Wowzer. 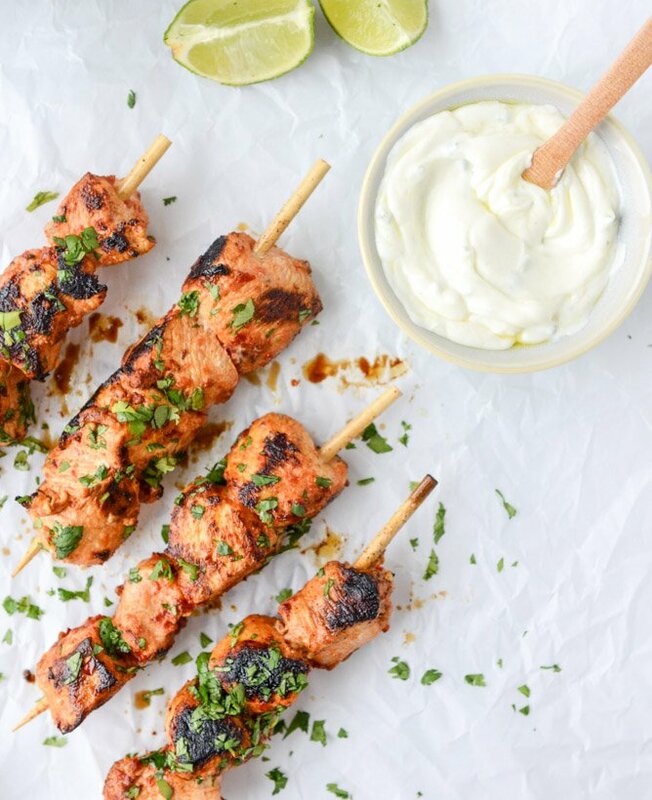 These skewers & dip are speaking directly to my heart! L-O-V-E!!! These look delicious! Definitely want to try them! Is that cilantro sprinkled over the chicken? I’m totally with you. 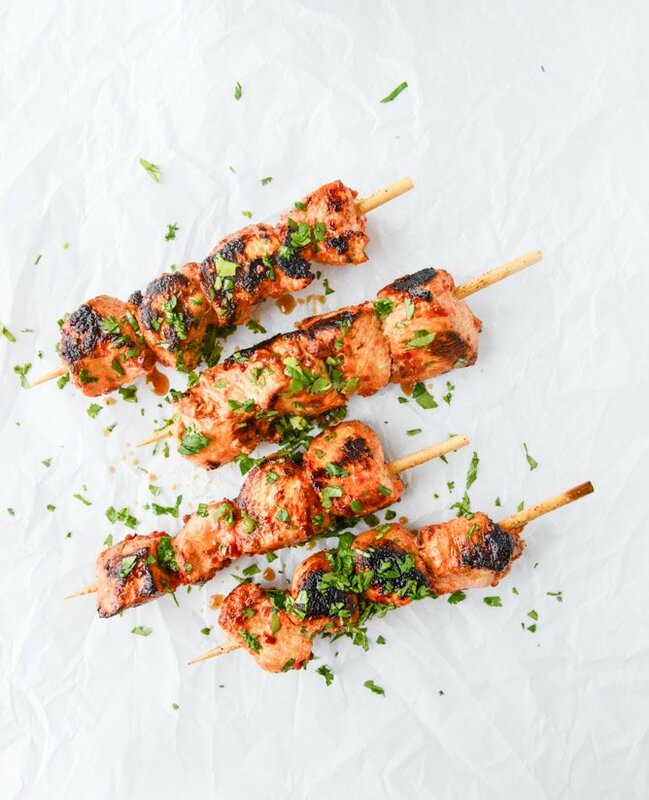 Small bites of chicken mean more surface area for flavor to be added. A whole chicken breast is just not as fun. Can’t wait to try this. A wonderful resolution. We should only eat the food we love, enjoy and fuels us with energy. This chicken dish sounds tasty and fun to enjoy and good for you too. I used chili garlic sauce for mine, and it was perfect. YUM! I pinned this forever ago and just made it for the first time last night. Why did I wait so long???? This is a fantastic, easy, and flavorful recipe. Definitely a keeper. Thanks! One thing I forgot to say is that I used 3 lbs of chicken and tripled the marinade. That way we had leftovers. I only made a normal portion of the yogurt sauce, and it was enough for the 3 lbs of chicken (using it generously).